The club visit to this tropical garden was well attended. Jack was most welcoming, allowing us to use his “shed” to make tea and coffee, and to roam around his garden all day. 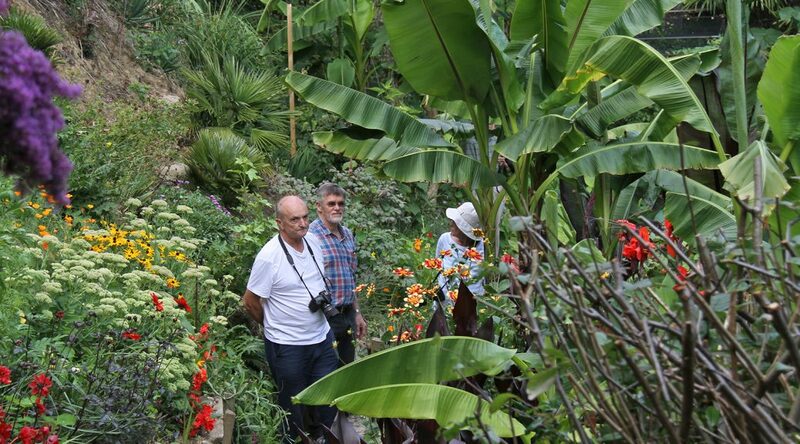 So many of the plants are exotic, growing to a good height in many cases, which gave the garden the feel of a jungle, especially as it was a hot day. Look at the photos taken by some of the members who visited to get an idea of this unusual place.